Gasket and fitting kit included. 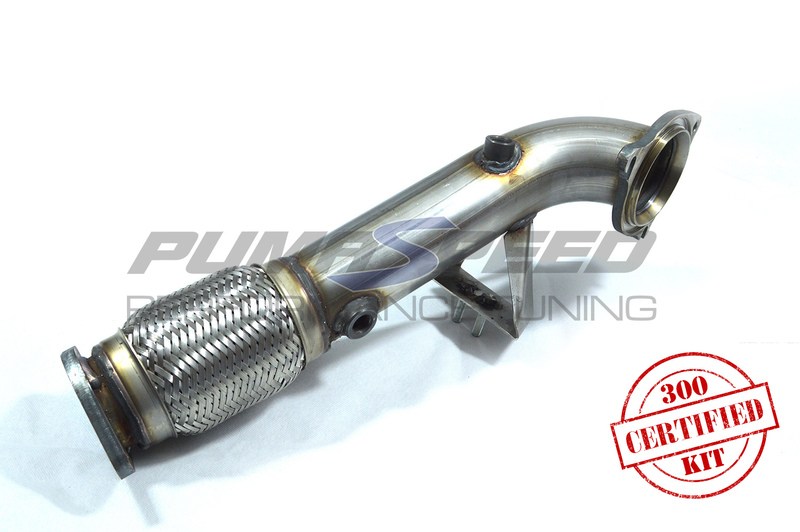 Release the flow from the new Ford Mk7 Fiesta ST180 EcoBoost engine with a Milltek Sport Exhaust De-Cat Downpipe! The original Catalyst and Downpipe of the New Mk7 Fiesta ST180 EcoBoost are made in one piece. This new one piece design features a restrictive bend and very small 48mm internal Bore (under 2 inches!). This 48mm small Bore is no where near the optimum flow rate of the Fiesta ST180 Borg Warner Turbocharger. The larger Bore size of the new Milltek Sport De-Cat Downpipe is 76mm, the largest on the market with over 100% more capacity to generate added power. This is the perfect way to add flow and power to all world variants of the New 2013 onwards Mk7 Fiesta ST180. The Mil Cheater Elbow is a small device that relocates the secondary lambda probe (Post Catalyst), away from the direct flow of the Exhaust gases. This causes the probe to read a less accurate signal which will then not trigger the ECU into recognising the Catalyst is being less efficient than the ECU would allow. In short, the MIL light or De-Cat light as some call it, will be much less prone to coming on for the Cat not being there. Get ahead of the game with Pumaspeed - The Home of the Milltek Sport Exhaust System. The Pumaspeed Workshop team are ready to fit the Milltek Sport Fiesta ST180 Cat Replacement Pipe (De-Cat) in our Head Office located here. Therefore making parts and labour a total cost £341.09 (inc. VAT). Pumaspeed have a specialist distribution team that can dispatch the Milltek Sport Fiesta ST180 Cat Replacement Pipe (De-Cat) to any destination worldwide.